The ODS SELECT statement restricts the output to the "HistogramBins" table and the "MyHist" histogram; see the section ODS Table Names. 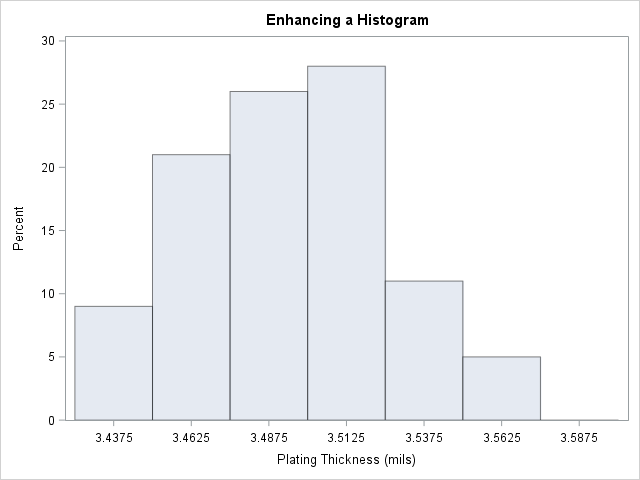 The ENDPOINTS= option specifies the endpoints for the histogram bins. By default, if the ENDPOINTS= option is not specified, the automatic binning algorithm computes values for the midpoints of the bins. The MIDPERCENTS option requests a table of the midpoints of each histogram bin and the percent of the observations that fall in each bin. This table is displayed in Output 4.18.1; the histogram is displayed in Output 4.18.2. 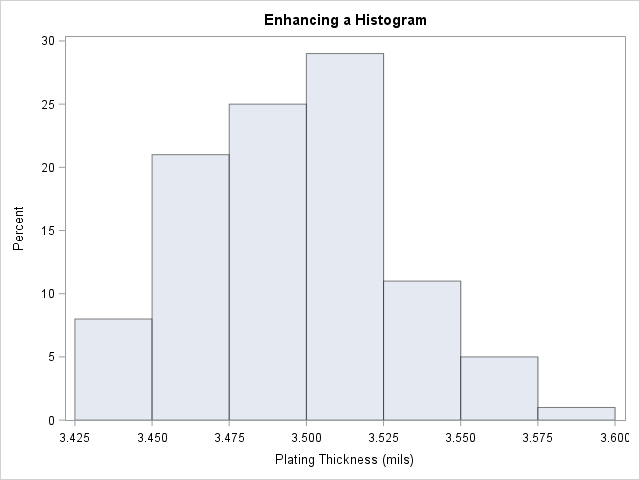 The NAME= option specifies a name for the histogram that can be used in the ODS SELECT statement.